Maybe you’re curious about my knowledge of all things “hammie” in my previous post. Rightfully so. I omitted some history to keep it focused, but I can’t say I wasn’t tempted to tell a story or two about my fascination with hamsters in junior high. I “had a hamster” like most people have a potato chip. Know what I mean? After cursing the offending critter (as I’m sure I did at the time), I scooped up the victim. His little ribcage heaved rapidly, as he huffed and puffed from the stress of the fight. The wound was messy, so there was only one thing I could do. I ran down the stairs, calling for help. As the mom of two boys, I know what that high-pitched, whiny, polysyllabic name means: whatever it is, it’s bad. I’m sure my mom knew that, too. She braced herself for what came next. Then she did the only “sane” thing you can do when your junior high daughter has a pet that’s wounded and in danger and there are tears streaming down her face. She called the vet. Fast forward to sitting in the vet’s office a short time later. Just try to imagine the look on Dr. Whitney’s face, if you can. A tearful junior high girl sitting next to her mom, a hamster with a messy, torn ear on her lap, and he’s gotta be Super-Man. Yep. He does. The doc’ was honest. He wasn’t a small animal vet, and this was, obviously, a small animal. He would, however, do what he could to help us. If I understood the real danger of anesthesia in very small animals…he would do a quick procedure right then. Out to the waiting room we went. Sometimes 25 minutes moves like liquid mercury—and sometimes it’s like molasses. Half an eternity later, we were called back to the exam room, and there was my little, one-eared, long-haired, cream hamster! (A little punch-drunk yet as he wobbled around the table, but alive!) Yep, Doc’ Whitney was Super-Man that day in my eyes! Whether he was uncertain of the outcome of the procedure, or he was an example of grace to me that day, there was no charge—and I went home with a named hamster that day. As in, Vincent van Gogh. You probably saw that one coming. I take my clues and cues from situations in my world around me sometimes. Predictable maybe. Vinnie was one of the nicer, non-biters I had during my season of hamster obsession. No threads of Bible verses in this one. It’s just a story-telling moment. Sometimes you see grace in everyday moments, with everyday people, and you still know it’s grace. 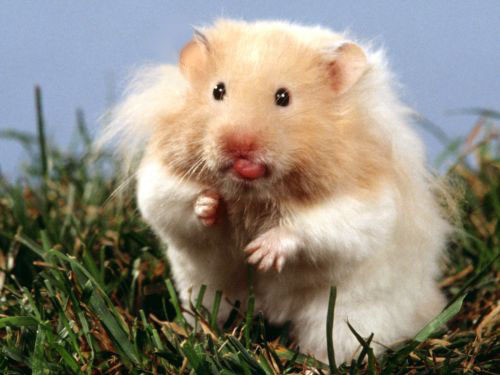 Photo Credit: This isn’t my hamster, but the little guy sure looks like Vinnie. Problem is, the photo can’t seem to be sourced. If you know where it came from, let me know! I had hamsters in Jr high and high school 🙂 Radley, Bandit and Teddi were my buds!! 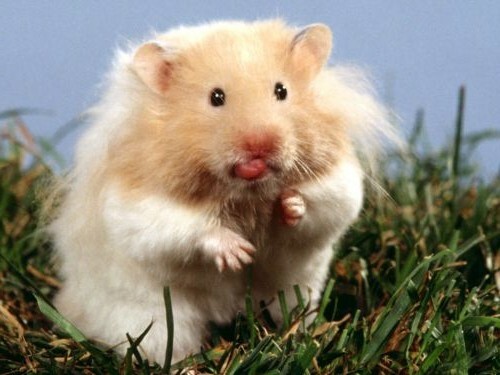 So glad to hear other awesome women had hamsters in the teen years too!! This story warmed my heart.. I am so glad you shared it.